Shirley Temples are fun to drink no matter what your age. 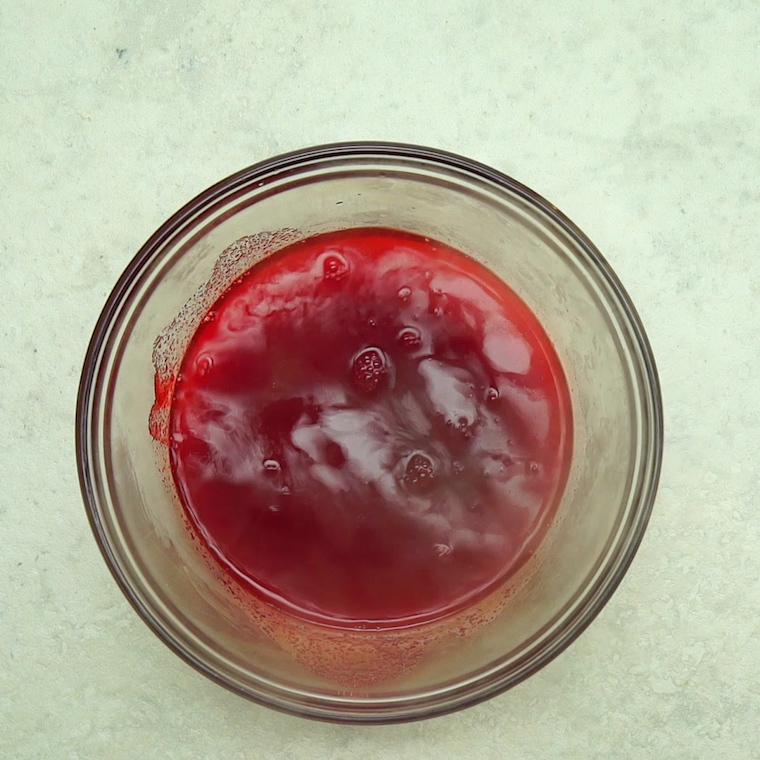 They are a super sweet and nostalgic drink that will make you feel like you are out to a fancy dinner with your parents. 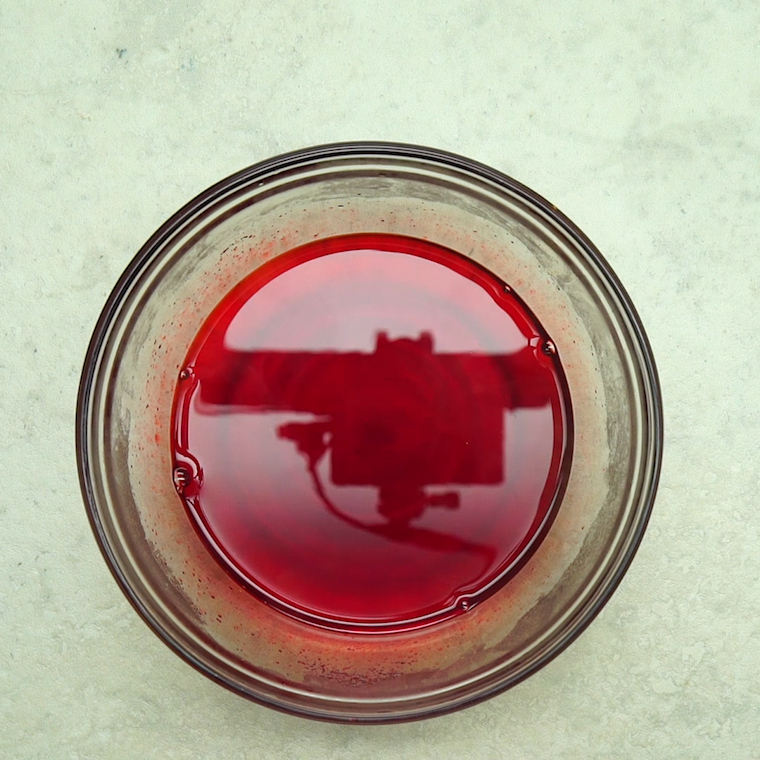 Kids always love to get those Shirley Temples! 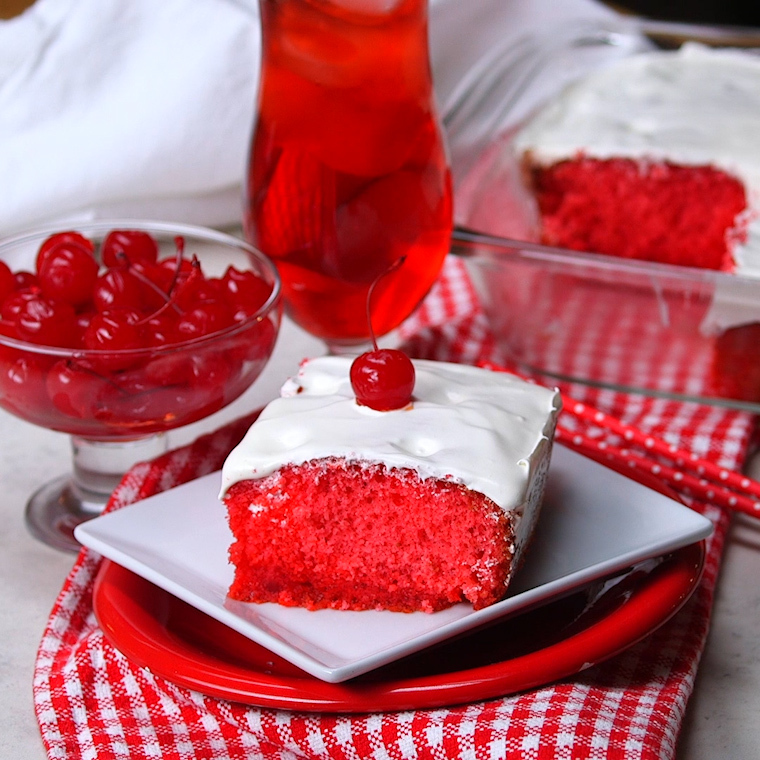 But now, you can take all that Shirley Temple flavors and turn it into an amazing Shirley Temple Poke Cake! 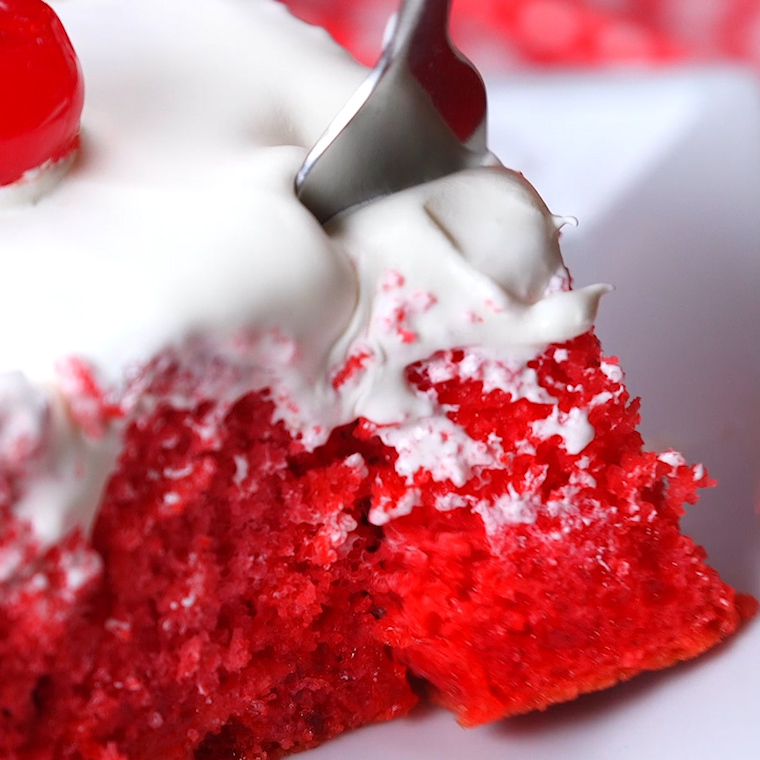 It’s such a sweet treat that will bring back all the memories. Preheat oven according to box directions. 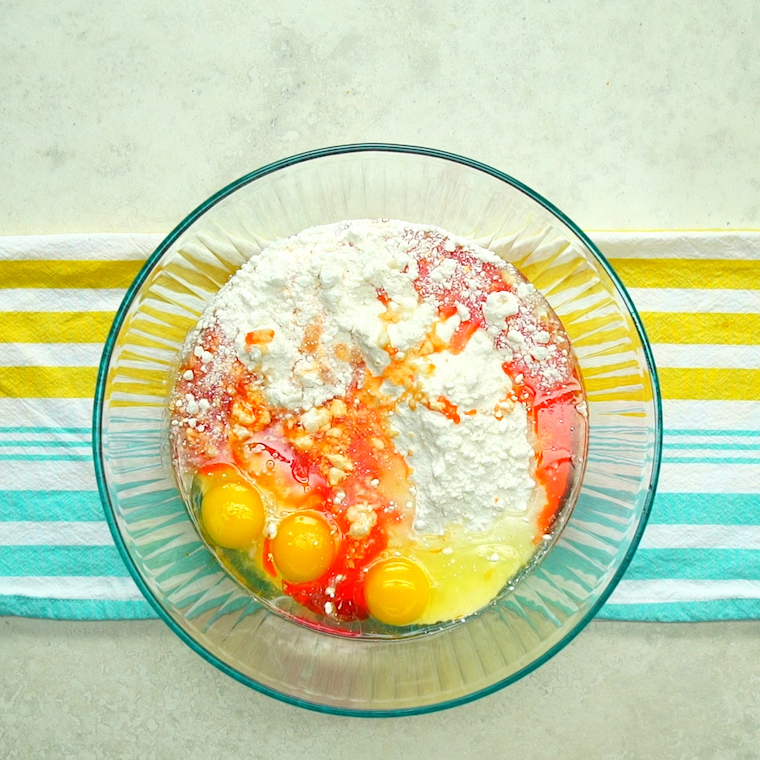 Add the cake mix, eggs, oil to the bowl along with the cherry juice. Mix it all together. 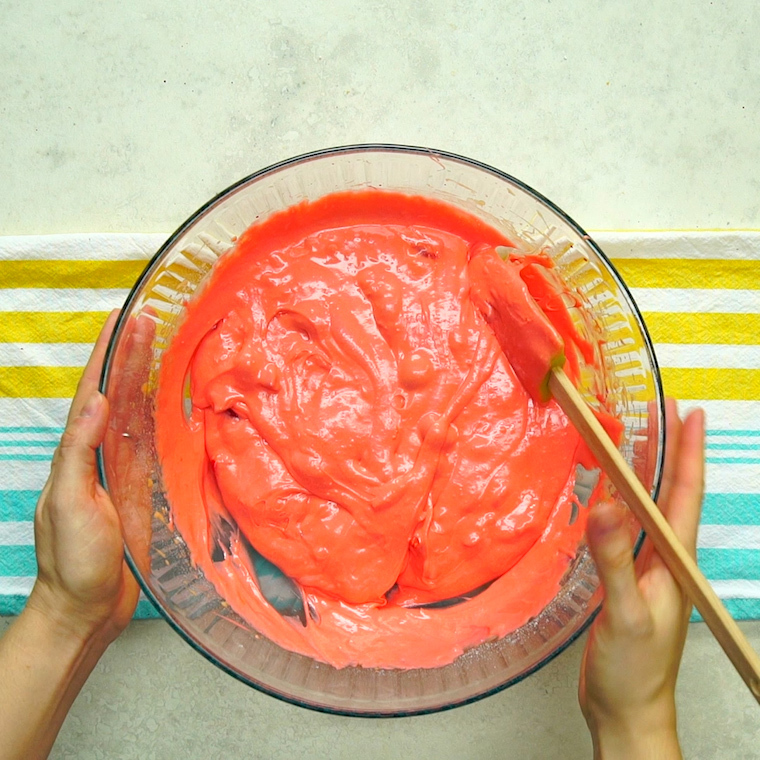 You can also add a little bit of food coloring if you want your cake to be a little bit more pink. 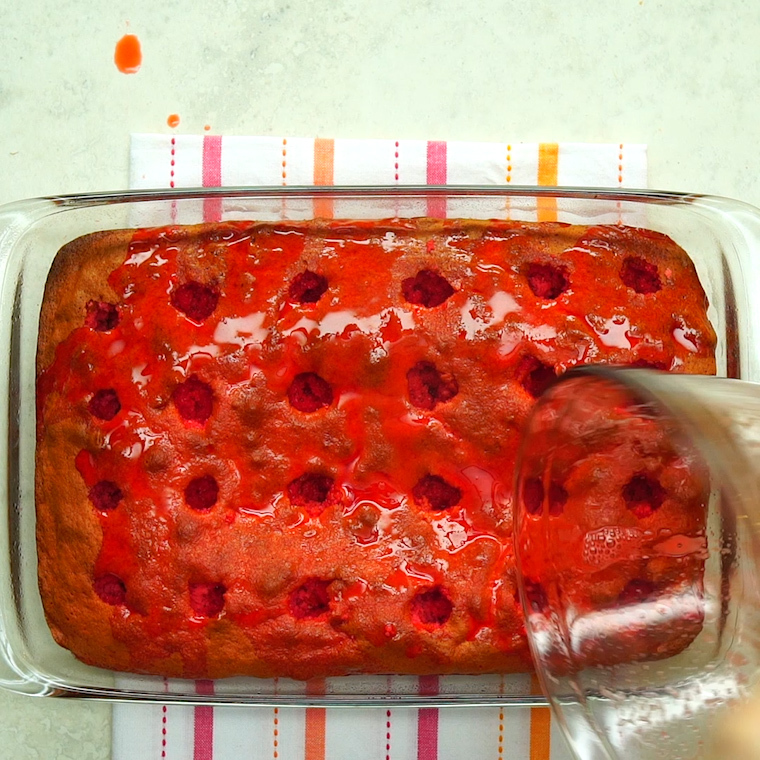 Pour the batter into a 9×13 pan and bake according to directions. 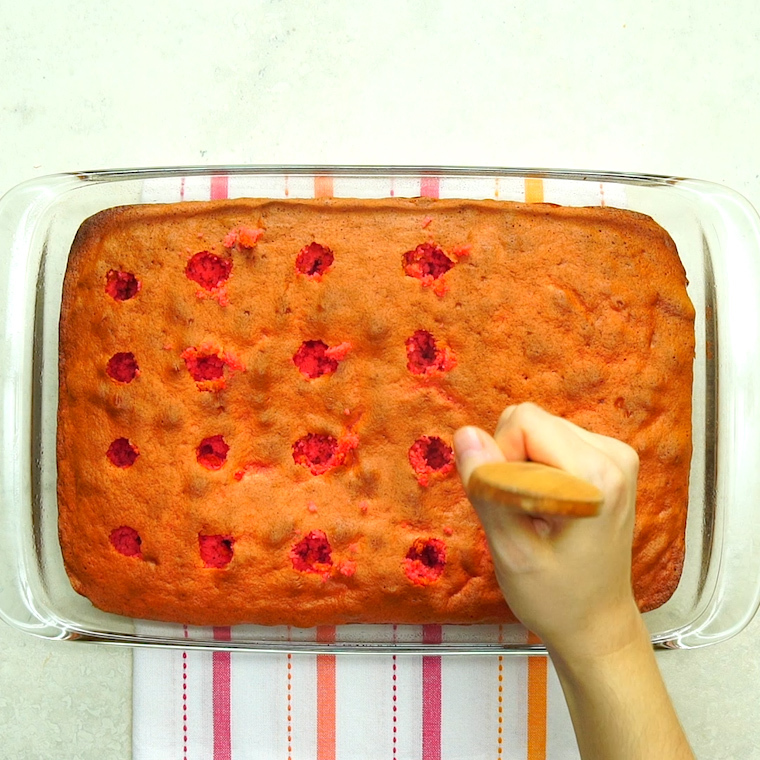 When you pull it out of the oven, use the end of a wooden spoon to poke holes all over the cake. 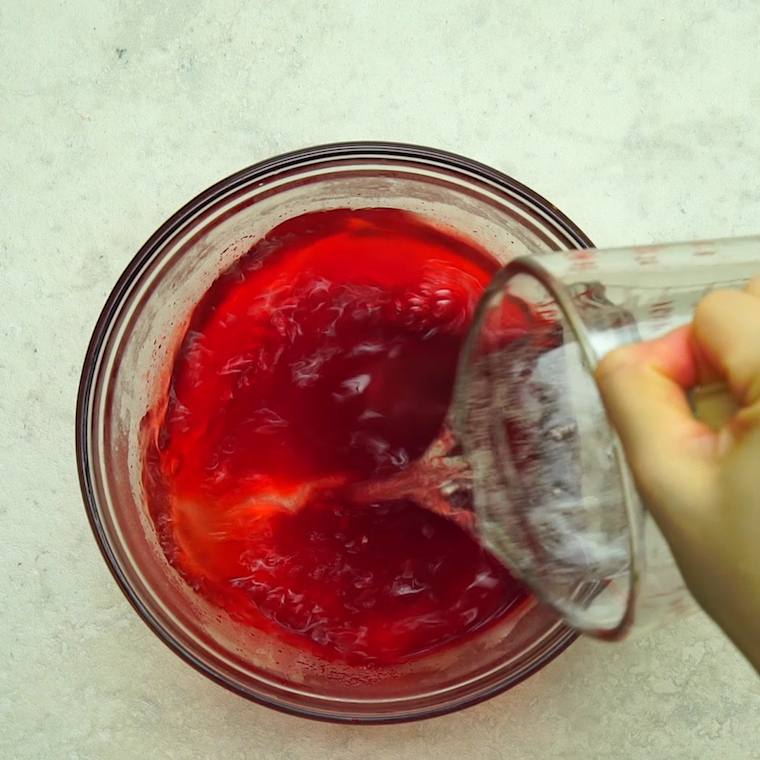 Prepare the Jell-O by mixing 1 cup boiling water into the powdered Jell-O mix and stir until dissolved. Add in 1 cup of 7 up and mix it. 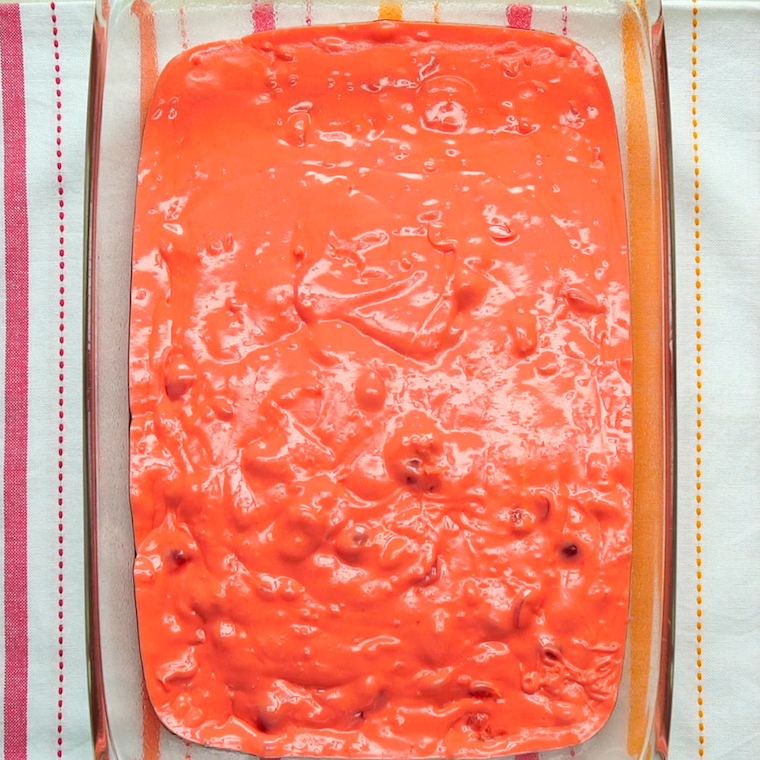 Pour Jell-O mixture over the cake so it goes into all the holes. 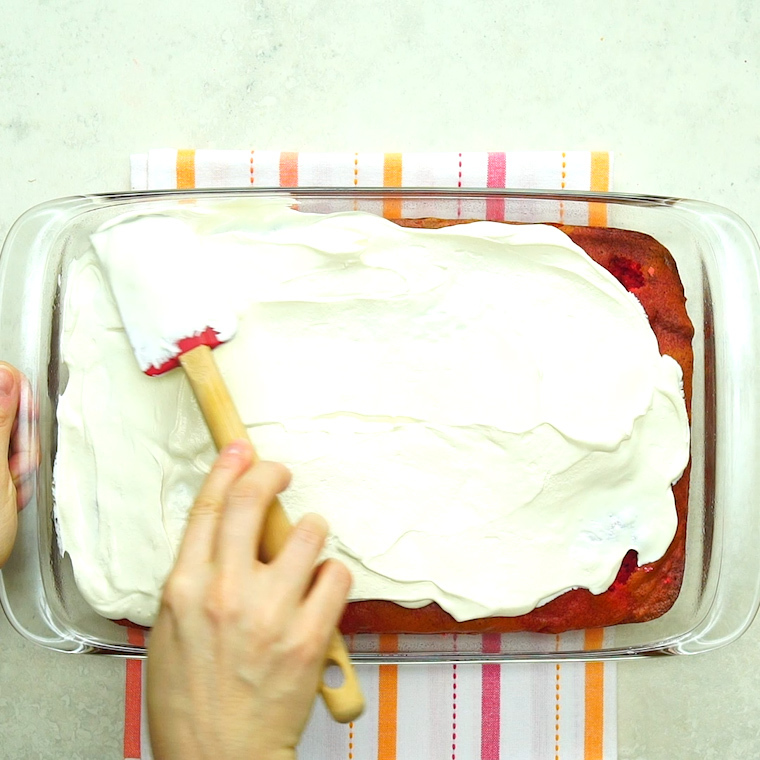 Spread the Cool Whip over the cake and enjoy! Candied Walnuts Are So Yummy, You’ll Want Them on Everything!